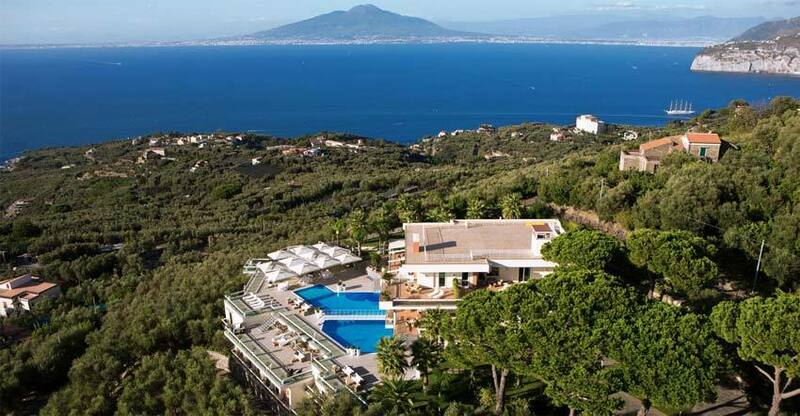 Striking views from Villa Eliana will leave your guests breathless! 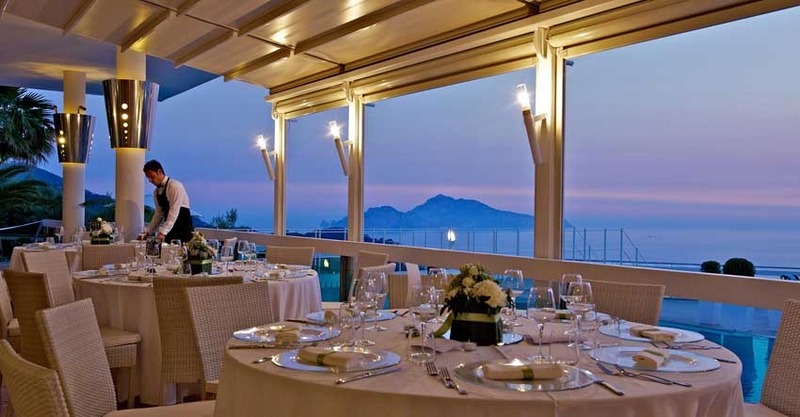 From the amazing terrace your eyes will embrace in just one glance the entire Neapolitan Gulf, from the Vesuvius to Ischia, Procida and Capri. 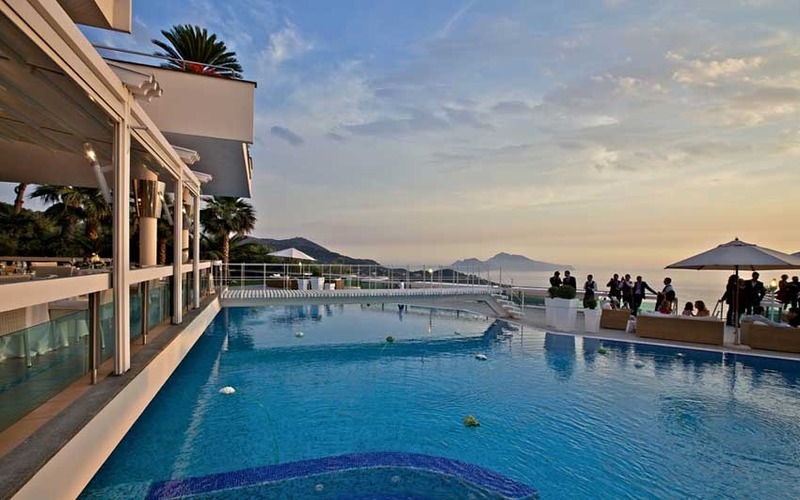 The closest airport is Naples at about 1,5 hours from the Villa – it will take approx. the same time to reach the Train station in the center of Naples. 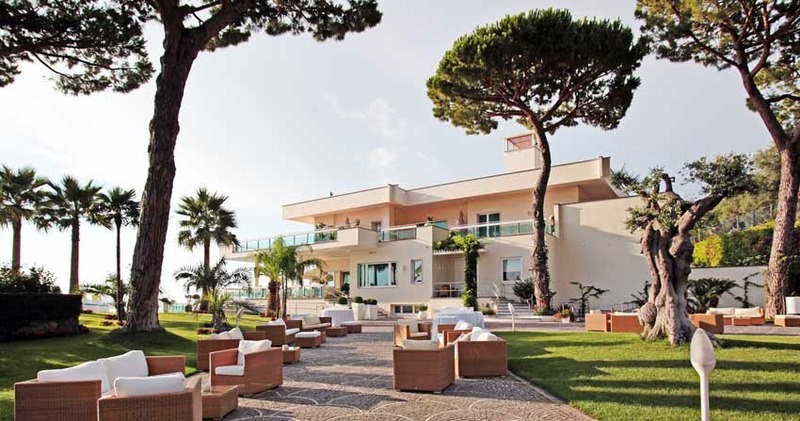 This modern villa immersed in a fantasy land scenery offers complete privacy and plenty of different spaces for your Wedding ceremony and reception its large terraces for an event that will be remembered for the incredible views. Sunsets enjoyed from the pool will be unforgettable. 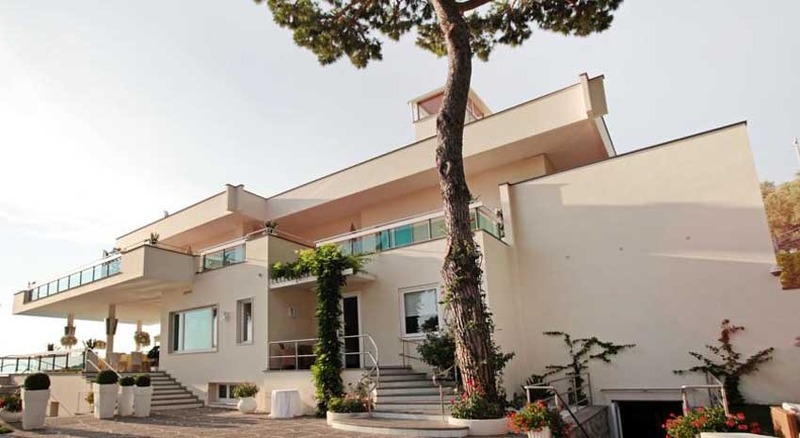 The villa is perfect for any event up to a maximum of 200 people. Civil Weddings performed at the St. Francis Cloister in Sorrento at about 15 minutes or at Villa Fondi at about 20 minutes from Villa Eliana. Symbolic or Protestant ceremonies can take place at the Villa while for a Catholic Wedding the closest destination would be Positano at about 1 hour drive from the Villa. Exclusive catering service compulsory as well as exclusivity of the villa on your wedding day featuring also n. 12 bedrooms. Your wedding festivities and reception cannot last more than a total of 8 hours and your party will need to end at the latest by 1:00 am – you can decide to have your Wedding reception at lunch time or dinner time based on your personal desire. 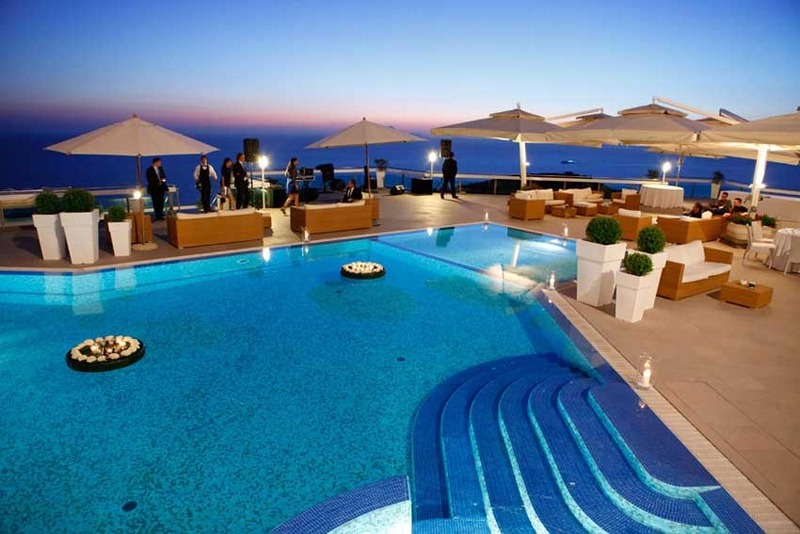 The swimming pool due to security reasons cannot be used before and during the wedding. Sky lanterns, fireworks and confetti are also forbidden. Wedding Menu will be defined based on the couple’s preference and pricing will include personalized printed menus, silverware and china for the entire event, white linens and napkins for tables and buffet areas. Music and dancing is allowed until 11:55 pm due to the Italian law restrictions - guests can stay at the villa until midnight. 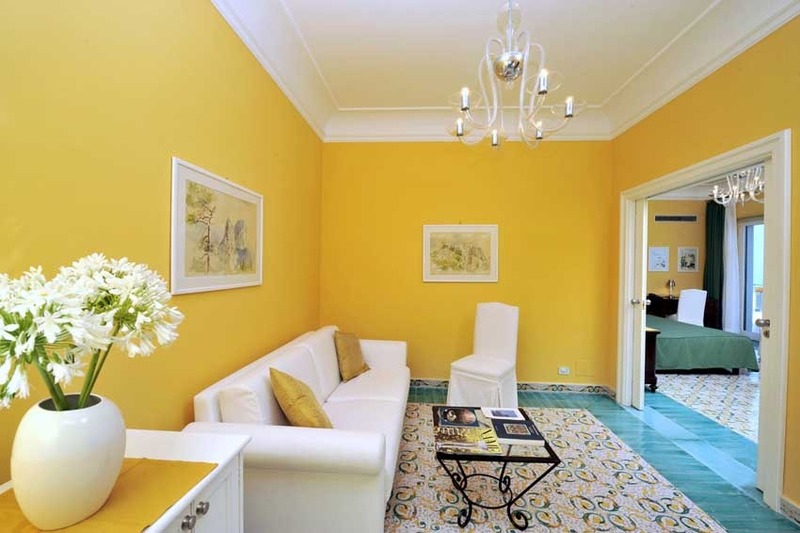 Villa Eliana features a total of 12 rooms for you and your guests stay. 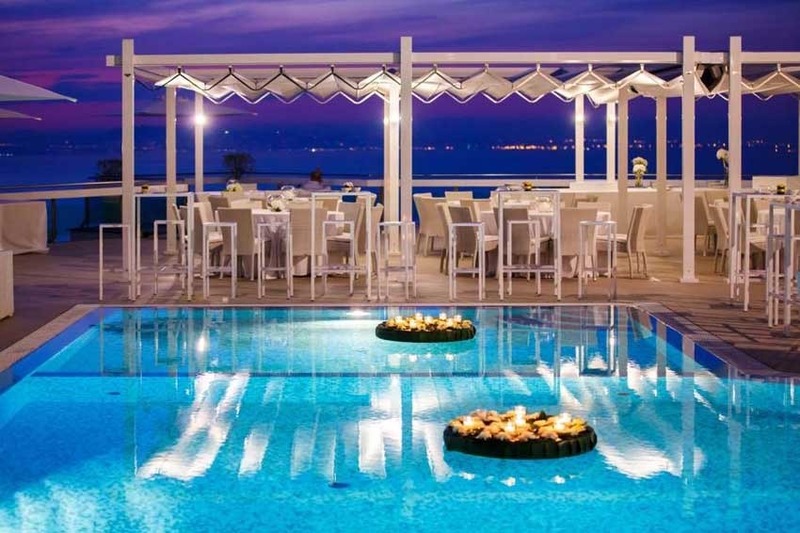 The room for Bride and groom on the wedding night is included in the rental cost of the villa – breakfast is also arranged for those that decide to stay overnight. We envision your Wedding celebration taking place between April and October to take advantage of the open areas and the nice temperatures.